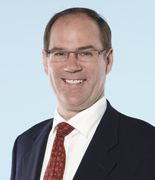 Clay Hunter became a partner at Paterson, MacDougall in 2010. He started at the firm in May of 2005 after taking a hiatus from the practice of law in order to pursue a career first as an actor, then as an owner, creator and operator of various Toronto restaurants, bars and nightclubs. Clay was a member of the University of Oregon (Go Ducks!) and Canadian Junior National Track and Field Teams. Clay is a trial lawyer and his practice focuses on but is not limited to aviation, tour operator and transportation law advocating on behalf of and providing advice to carriers in passenger injury, baggage and cargo claims arising from international and domestic carriage; to tour operators in ruined vacation and personal injury claims; to insurers on exposure and subrogation; and, in the assessment of damages. Clay represents clients in the Courts of Ontario and the Federal Court of Canada with respect to both individual and class actions. He is listed in the International Who's Who of Business Lawyers, Aviation. Clay has successfully argued the strong exclusivity approach to the applicability of the Warsaw and Montreal Conventions in O'Mara v. Air Canada, 2013 ONSC 2931; the proper notice and checked baggage principles of the Montreal Convention in Holden v. ACE Aviation, 2008 Can LII 40223; and, the tort liability and proper duty of care of tour operators in Garofoli v. Air Canada Vacations, 2012 ONSC 4698. Canadian Bar Association; Canadian Defence Lawyers Association; the Advocates’ Society; the American Bar Association: Forum on Air and Space Law, Litigation Section; and, the Federation of Defence & Corporate Counsel. » J. Murray Davison, Q.C. » D. Bruce MacDougall, Q.C.